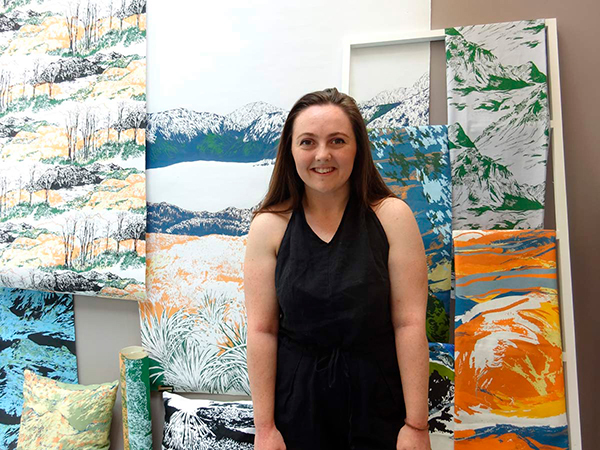 In recognition of the Foundation’s close relationship with Arts University Bournemouth and collaboration on the AUB exhibition Lucienne Day: Living Design, launched in 2017 and now touring internationally, we have established an annual Textiles Prize for an AUB Textiles graduate. As the standard of work was so high this year the judges decided to divide the bursary between the winner and runners-up. 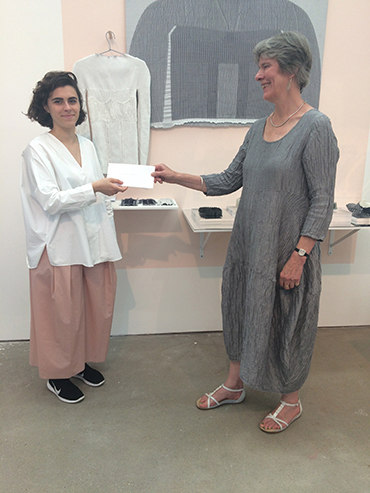 The AUB Textiles Fund added £200 to the £500 bursary supplied by the Foundation. The Arts University Bournemouth exhibition Lucienne Day: Living Design, curated by AUB Deputy Vice-Chancellor Professor Emma Hunt and Foundation Chair Paula Day, was the first major exhibition of the Lucienne Day centenary year. Launched at The Gallery, AUB on January 12th 2017, it provided an important resource and inspiration for the university’s students in several disciplines, as well as members of the public. 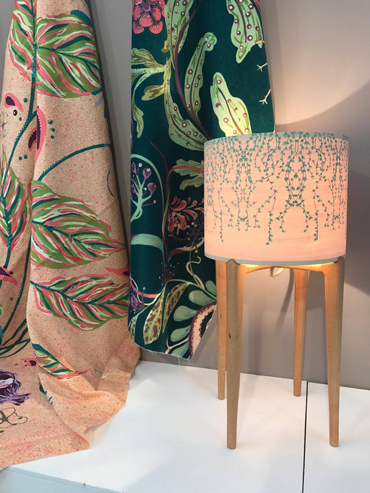 Linked to the exhibition, a special Prize for Textiles was created by the university and judged at the students’ Final Textile Show by Professor Emma Hunt, Deputy Vice-Chancellor of AUB, and Mary Mullin, Foundation Trustee and Honorary Fellow of AUB. 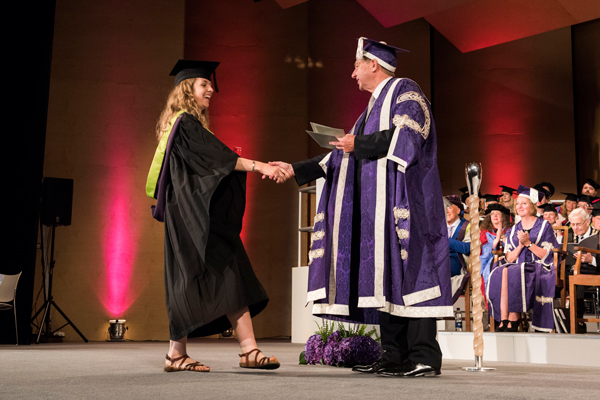 The prize was presented by Vice-Chancellor Professor Stuart Bartholomew at the AUB Graduation Ceremony on June 30th 2017. 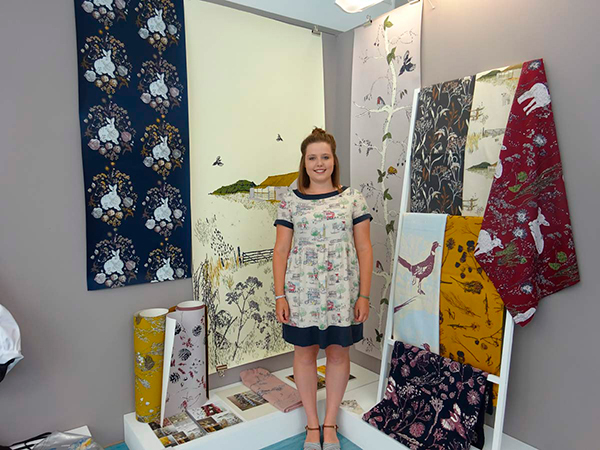 Aimee Hartley was awarded the £500 bursary for the work she displayed at her Final Textiles Show. This was judged to be outstanding in its use of a diversity of sustainable natural materials for a variety of applications and in conjunction with furniture design. 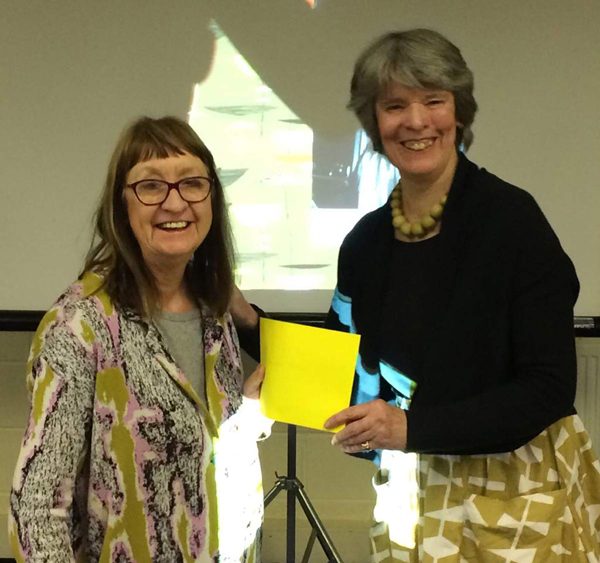 Our Lucienne Day Centenary Award for Lifetime Contribution to Lucienne Day Studies was presented by Paula Day, Foundation Chair, at the Textile Society's Antique Textiles Fair on April 30th 2017. In 1993, as Deputy Director and Textile Curator of the Whitworth Art Gallery, Manchester, Jennifer curated the first-ever Lucienne Day retrospective, which was accompanied by her book Lucienne Day: A Career in Design. After retiring last year, she returned to the Whitworth to curate the current exhibition Lucienne Day: A Sense of Growth. 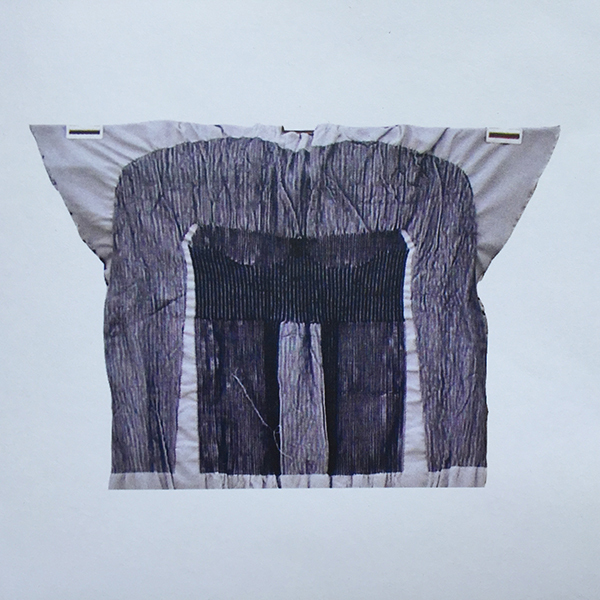 In the intervening years Jennifer has lectured widely on Lucienne Day. She has given generously of her time to make the extensive Whitworth Lucienne Day collection accessible to the public, lending numerous items to the Barbican Art Gallery for their 2001 exhibition Robin and Lucienne Day: Pioneers of Contemporary Design, and supporting our photoshoot of the collection last year. We are deeply grateful to Jennifer Harris for her lifetime contribution to Lucienne Day Studies. 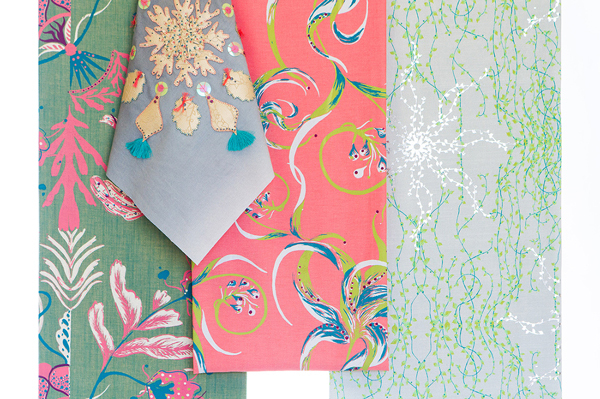 Robin and Lucienne Day both studied at the Royal College of Art, where they met in March 1940. Throughout their professional lives they maintained links with and actively supported the RCA. The Trustees inaugurated the Robin and Lucienne Day Prize to celebrate the Foundation’s official launch, held at the RCA in May 2015. The Prize is awarded annually to a final-year student of textile or product design whose work, in the judgement of the RCA Rector and Foundation Chair, reflects Robin and Lucienne Day’s own commitment to social and environmental responsibility as well as high aesthetic quality. 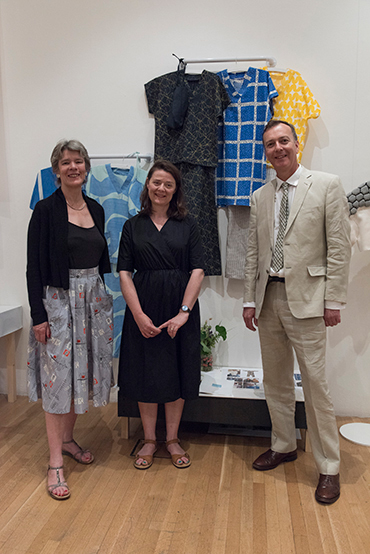 In June 2017 Foundation Chair Paula Day reviewed the work of final-year Textiles MA and Design Products MA students under the guidance of Dr Fiona Curran, Senior Tutor, Mixed Media Textiles, and Dr Robert Phillips, Acting Head of Programme, Design Products. 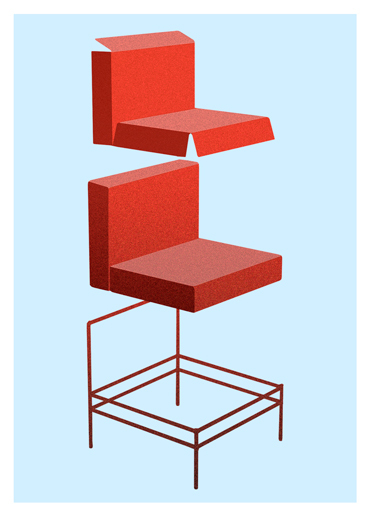 Katrine Hesseldahl and Viktor Strimfors, Design Products MA. 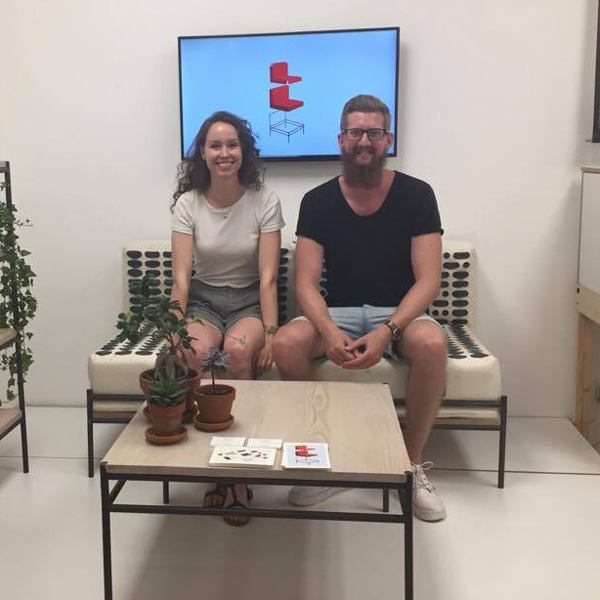 Katrine and Viktor were awarded the £2,000 prize for their work on Strata, a modular furniture system addressing the wastage inherent in the design of, for example, a traditional sofa, which may be discarded to landfill simply because of damaged upholstery fabric or cushioning. 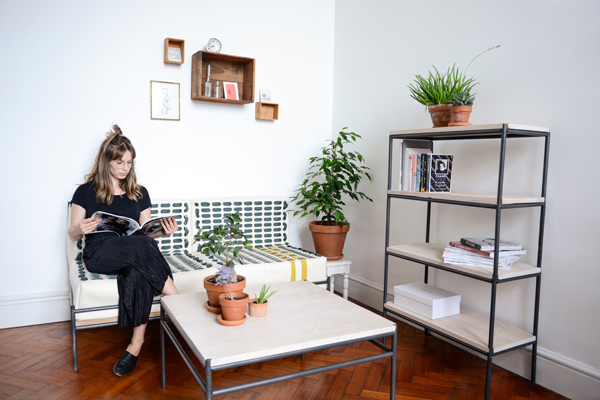 Instead, a layer system is proposed, where the 'base layer' or frame is durable and may be reconfigured to make other kinds of furniture (shelving, table etc), while the middle and skin layers can be replaced when necessary and customised to suit personal aesthetics. The designers see 'the Logic of Layers' as applicable to many kinds of product. Robin Day was born in High Wycombe and trained at High Wycombe School of Art, which was incorporated into Bucks New University. In his later years he actively supported the Bucks New University Furniture Department. The Trustees of the Foundation set up the Robin Day Centenary Project to celebrate Robin Day’s centenary and honour the furniture department in its final year before closure. The Robin Day Centenary Project for final year Furniture BA Hons students was launched in November 2015 and run by Foundation furniture technician Amos Marchant and Bucks New University tutors Fiona Davidson and Alex Hellum. The students were invited to draw inspiration from Robin Day’s practise of using several different materials in one design and celebrating visible fixings / joints. 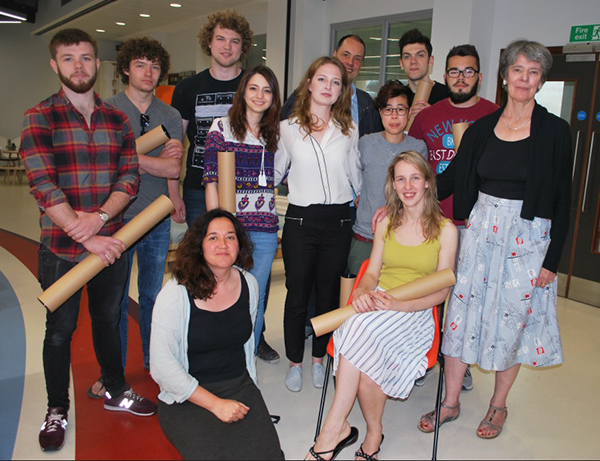 In June 2016 the students’ full-size design prototypes were reviewed and judged by Amos Marchant and Foundation Chair Paula Day. 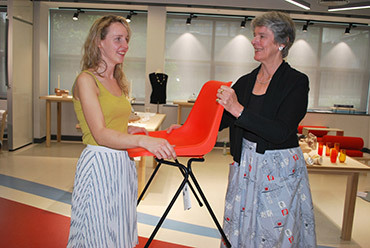 Madara Degtere was presented with a Robin Day Polypropylene Chair as a prize for her fully-realised design for a reclining chair. Robin and Lucienne Day both studied at the Royal College of Art, where they met in March 1940. Throughout their professional lives they maintained links with and actively supported the College. The Robin and Lucienne Day Prize at RCA celebrates and continues this connection. 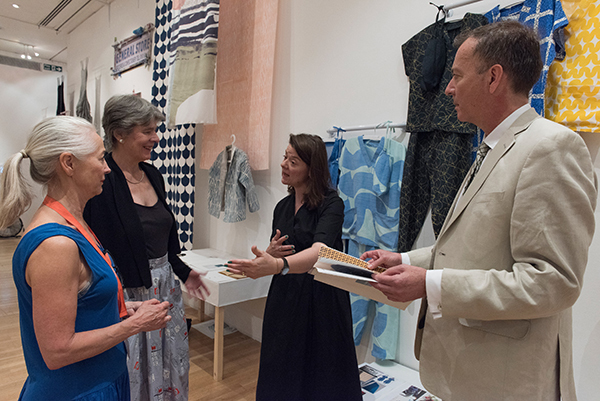 In June 2016 Foundation Chair Paula Day reviewed the work of final-year Textiles MA and Design Products MA students under the guidance of Professor Anne Toomey, Head of Textiles, and Professor Sharon Baurley, Head of Design Products. Jacqueline Lefferts was awarded the £2,000 prize for her work to reduce materials waste and carbon footprint of garments by developing a single-process weaving technique which obviates the need for shipping to other manufacturers for sewing. 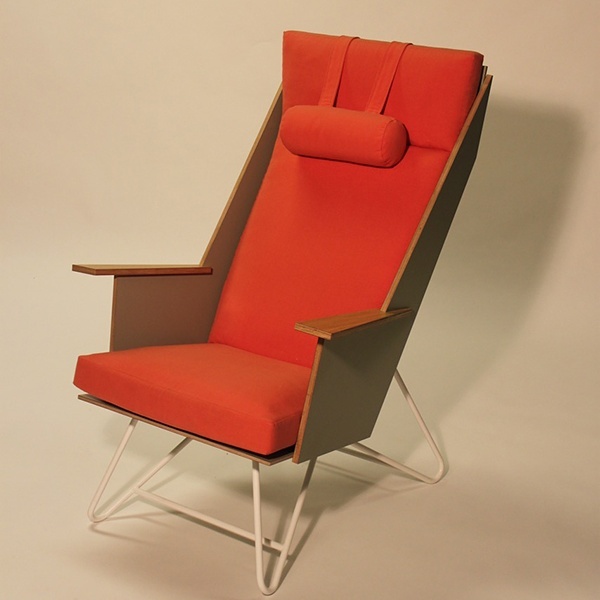 The Robin Day Centenary Furniture Design Awards scheme was set up by the Foundation in association with the Worshipful Company of Furniture Makers to celebrate Robin Day’s centenary. 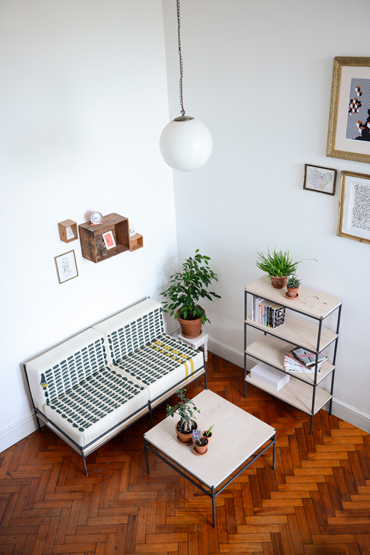 One hundred schools across the country were presented with copies of Modern British Furniture: Design since 1945 to award to their best GCSE Design and Technology students. 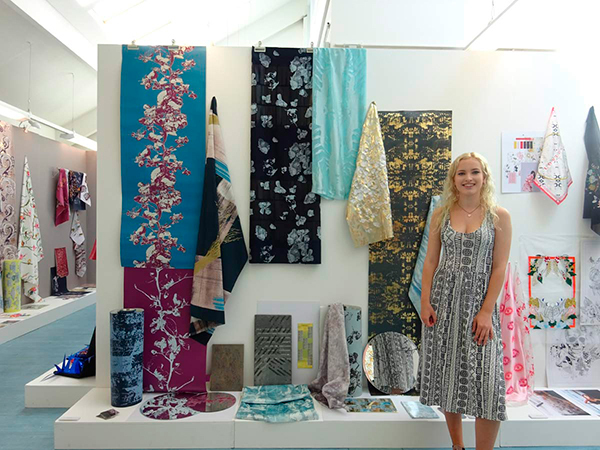 In June 2015 Foundation Chair Paula Day reviewed the work of final-year Textiles MA and Design Products MA students under the guidance of Professor Clare Johnston, Head of Textiles, and Professor Sharon Baurley, Head of Design Products. 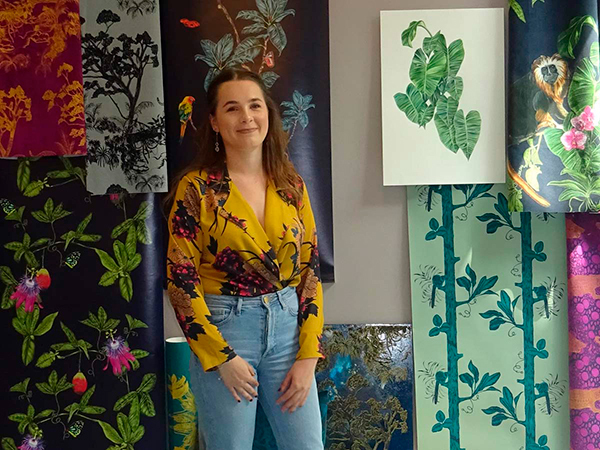 Lucy Rainbow was awarded the £2,000 prize for her prints for nurses’ uniforms on sustainable fabrics such as hemp, designed to bring life-enhancing contact with nature to hospital patients and staff.